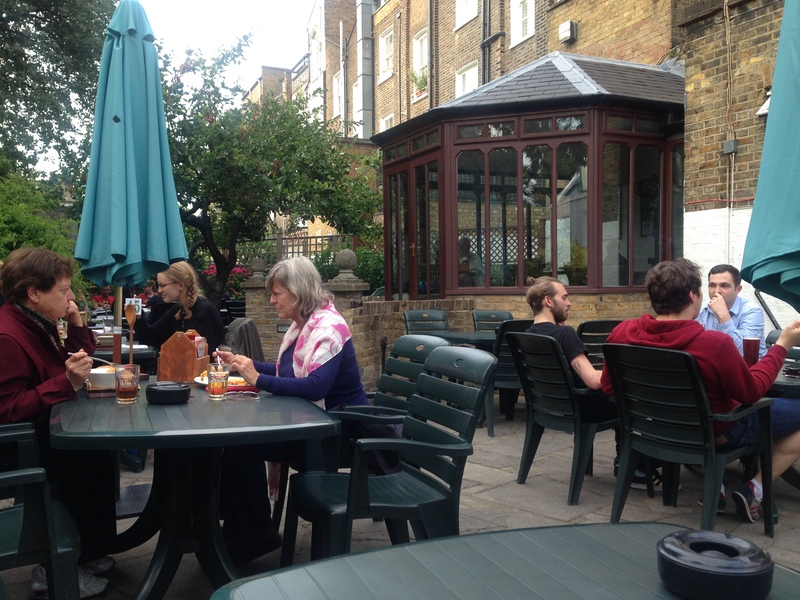 A glance around the garden of Primrose Hill pub The Albert last night was a poignant thing. Although almost empty inside, the conservatory and outside space were a quiet hubbub of Friday night relaxation. An older man nursing his pint and gazing into space; another enjoying his book and a solitary supper; a table of young-professional lads gathering to start off their evening; two ladies discussing foreign languages and slipping into fluent French; some elderly hippies with their recumbent dog; and what looked like a group of colleagues finishing off their week with pub grub and fraternity. Beneath the facade of pretty privilege, boho wealth and cupcakes lies a solid underpinning of longstanding community, folks who moved here before the exponential rise in property values and who are the driving force for neighbourly values, who man the community-funded library and look out for lost cats. One of the priceless charms of Primrose Hill is that some of the stucco facades are slightly crumbly and sometimes the people are too. 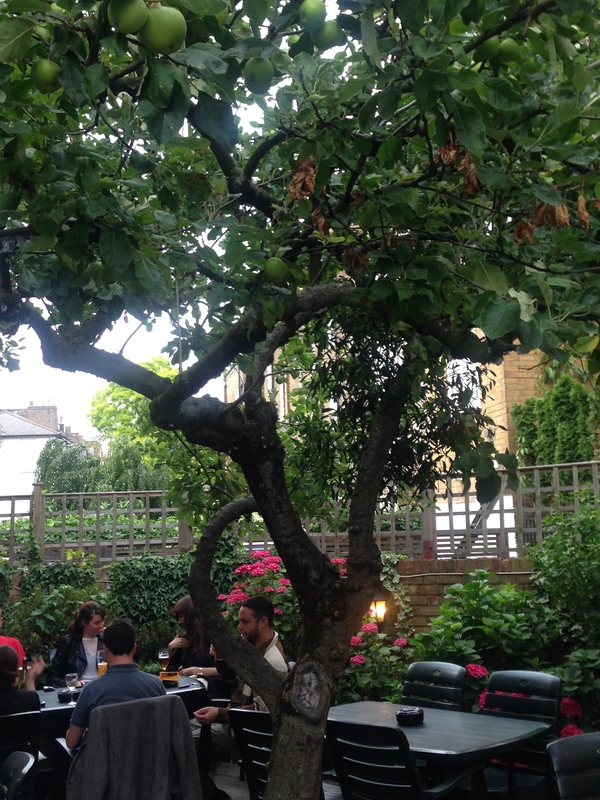 Sitting in the Albert’s much-loved garden, the quiet joys of Primrose Hill life were fully evident. Giving up half of this modest patch of land to building work seems to me to be a tragedy. APPLES GROWING IN THE ALBERT GARDEN. CIDER ANYONE? © 2014 www.iLovePrimroseHill.com, all rights reserved.